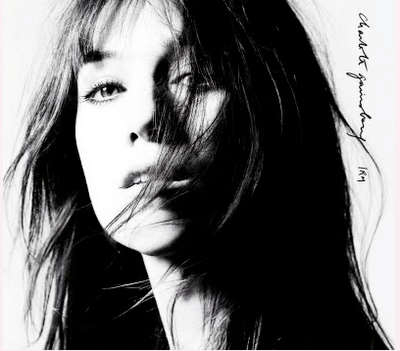 "IRM" is the title track for the Charlotte Gainsbourg album that Beck did with her. Charlotte had a brain hemorrhage before making the album, and this song is about that. This was one of the ideas she brought to Beck for the album. Charlotte explained, "I had an accident, which meant I had to through 6 months of regular MRIs. At the beginning, the panic, the sounds struck me as disturbing and brutal. And gradually I loved them. So I was hoping that Beck would like that idea for a track." Beck told one interviewer that he could relate, "It turned out that Charlotte and I have both had quite a few of them in recent years for different reasons and there was something about it that represents trying to look into the unknown and how scary it is to find out what's there." To accomplish Charlotte's idea of using the MRI as music, Beck based the music on the chugging mechanical sounds of an MRI brain scan machine. (IRM is the French acronym for MRI.) To accomplish this, four different drummers, two more drum programmers, and a percussionist are all credited on the song. Beck adds some bass to this thick rhythm, and some subtle keyboards and wordless vocals near the end for a little flavor. Lyrically, the song is just as literal as the music tries to be. Though Beck's quote above indicates some sort of metaphor into searching the scary unknown, I don't really get that sense in the words of the song. It pretty realistically describes the process of an MRI/IRM, with neural patterns and x-ray eyes and pathogens and flowcharts. There is also an interesting Beatles reference ("looking through a glass onion") in the first verse.